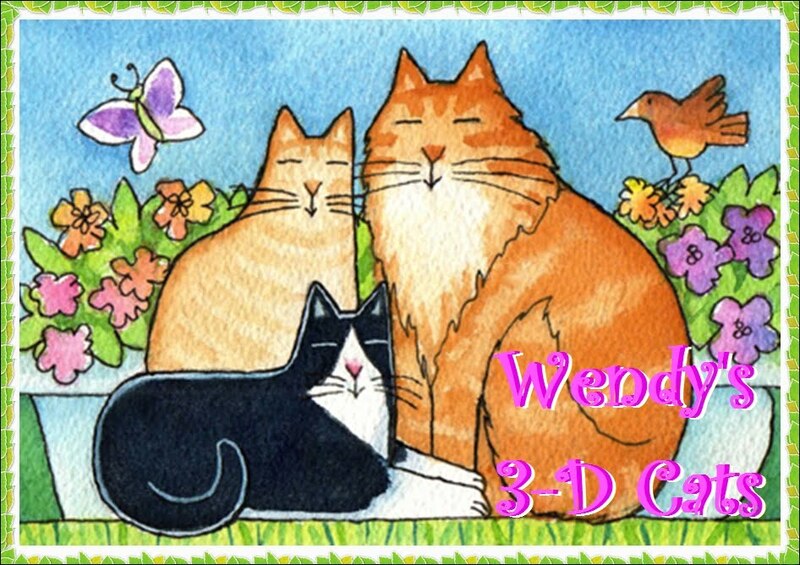 Wendy's 3-D Cats: 3-D VALENTINES! Each of the 3-Ds has a signifiCAT other. 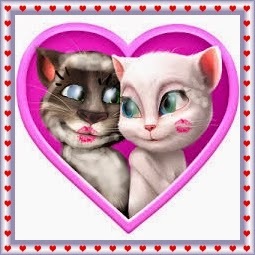 And so, today -- Valentine's Day -- is a very imPAWtant occasion for them. 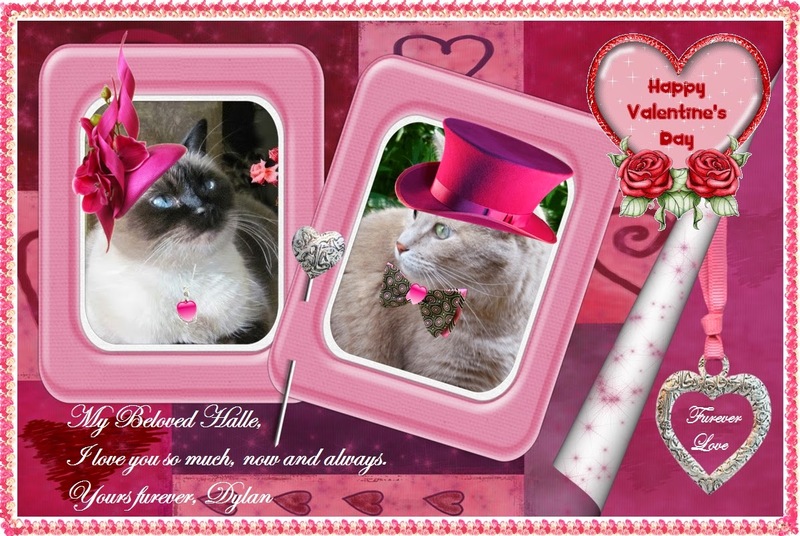 Dante, Dylan and Domino have all made special Valentine's cards for their loved ones. 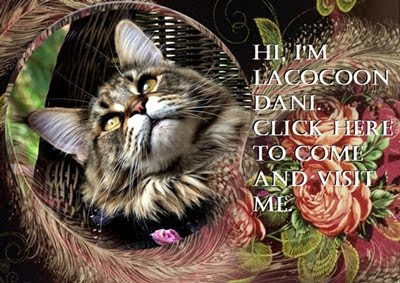 Dante's fiance Sascha was thrilled to receive this colourful and HEARTfelt missive. Looks like there's lots of kisses in Dante's future! Dylan and his fiance Halle are hot under the collar (and over the collar) in pink! Their love virtually sizzles. 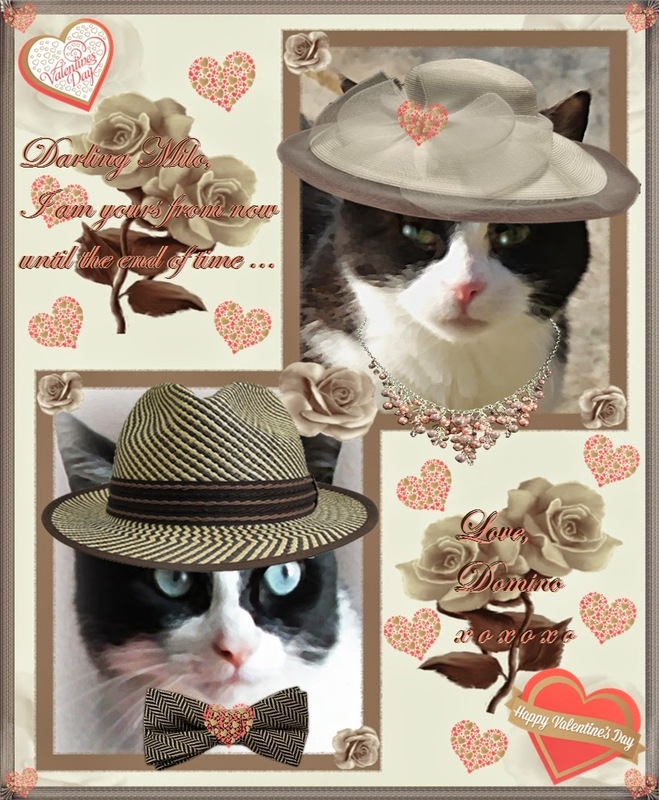 Domino and her longtime beau, Milo, are much cooler cats. Their sophistiCATion and devotion to each other is the hallmark of their love story! 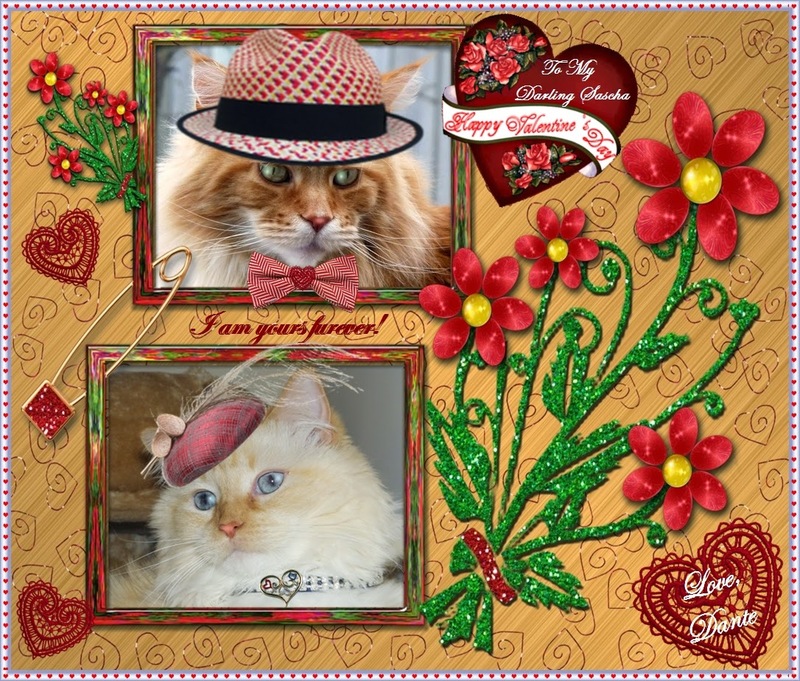 We wish all of you, too, a very Happy Valentine's Day just chock-filled with love!